Iran nuclear talks: Iranian officials accuse major powers of backtracking on April 2 agreement. 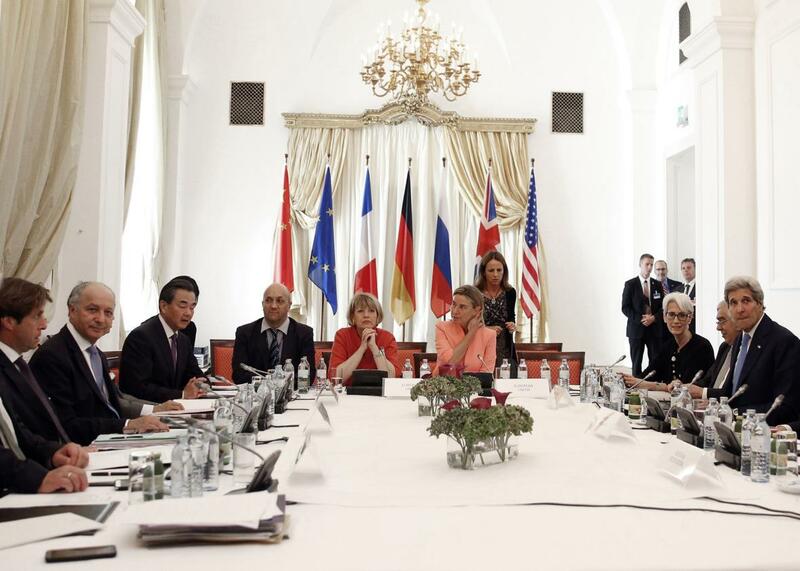 Major powers have gathered in Vienna to seek a historic nuclear deal with Iran, but it’s unclear when an agreement could finally be struck. Nuclear talks with Iran are apparently so stalled that they’re now going backward. As the clock ticks toward the deadline for a deal (again), officials from Iran are claiming that major world powers are backtracking on their previous pledges. For weeks, six countries—the U.S., France, Germany, Britain, Russia, and China—have been trying to hammer out a deal about constraints to Iran’s nuclear program. The turbulent talks have already experienced a series of delays: The original deadline for a deal was June 30, a date that would have allowed for Congress to give the accord an expedited 30-day review. But the date was eventually pushed back to July 7, and then to July 10, due to lingering disagreements about certain parts of the deal. Now, it appears that the July 10 deadline will have to be skirted as well. Iran claims that the six other countries involved in the talks are now trying to renege on parts of an earlier nuclear agreement that was reached in April—one that was supposed to serve as the foundation for a final deal this summer. Though no official information has been released about what exactly is holding up the talks, the Wall Street Journal notes that many countries are unhappy with Iran’s insistence on an unrestricted arms trade and ballistic missile program. There has also been general discord over how and when to remove economic sanctions on Iran, as well as what to do about Iran’s suspicious nuclear activity in the past.